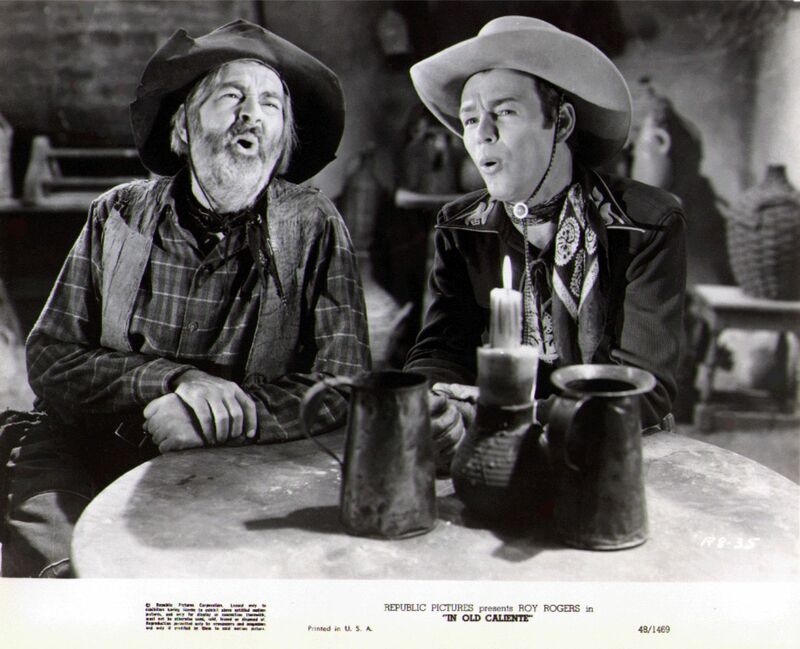 Gabby Hayes appeared in about 15 John Wayne movies. 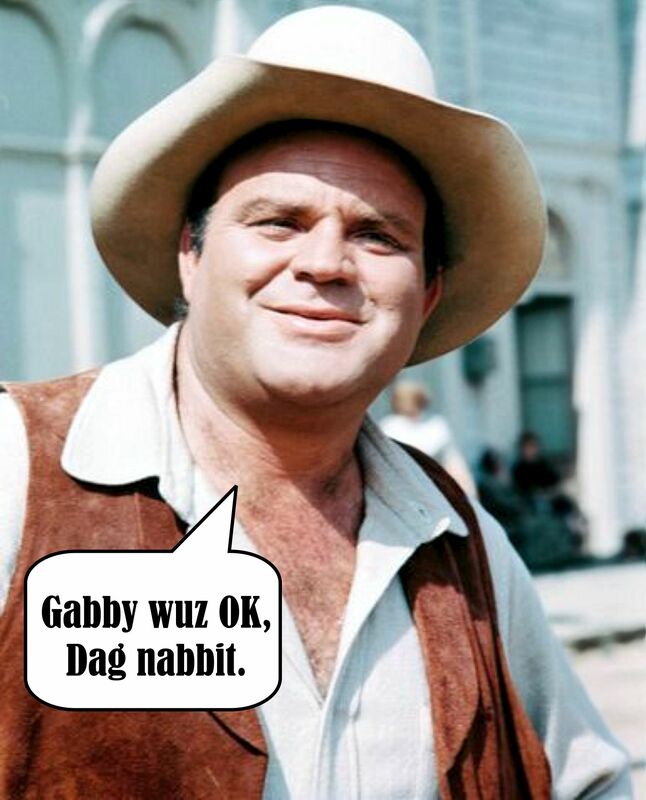 But Gabby was as a ‘sidekick’ companion for several Western Stars of the era. Born in the hamlet of Stannards, New York. 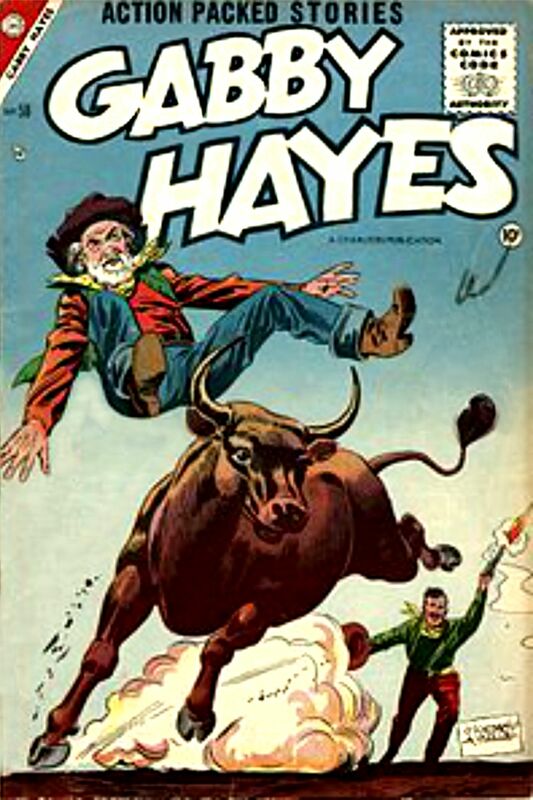 As a young man, George Hayes worked in a circus and played semi-pro baseball while a teenager. He ran away from home at 17, in 1902, and joined a touring stock company. He married Olive Ireland in 1914 and the pair became quite successful on the vaudeville circuit. Retired in his 40s, he lost much of his money in the 1929 stock market crash and was forced to return to work. 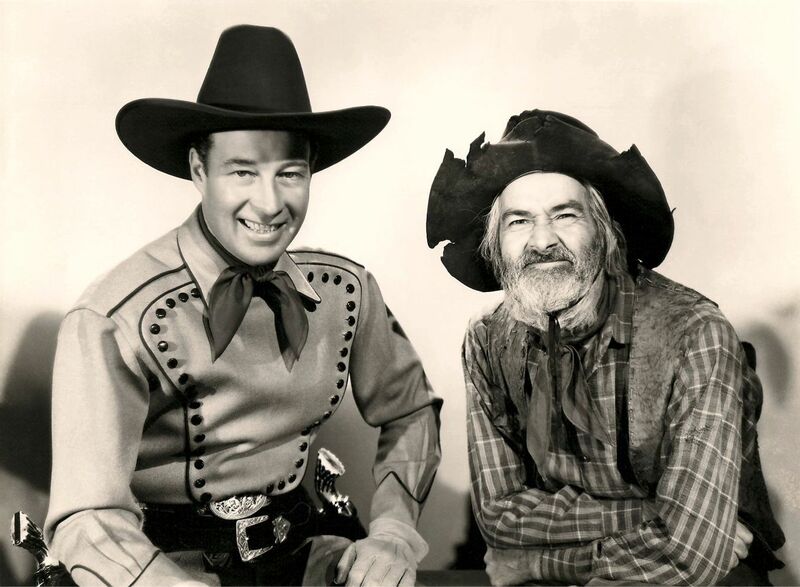 Moving to California he played scores of roles in Westerns and non-Westerns alike, finally in the mid-1930s settling in to an almost exclusively Western career. 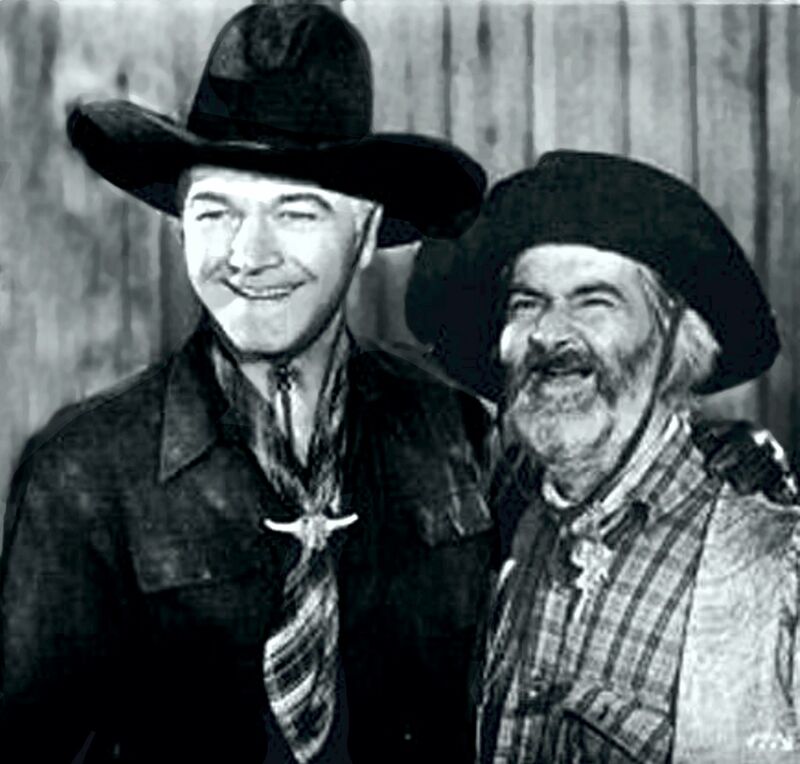 He gained fame as Hopalong Cassidy‘s sidekick Windy Halliday in many films between 1936-39. 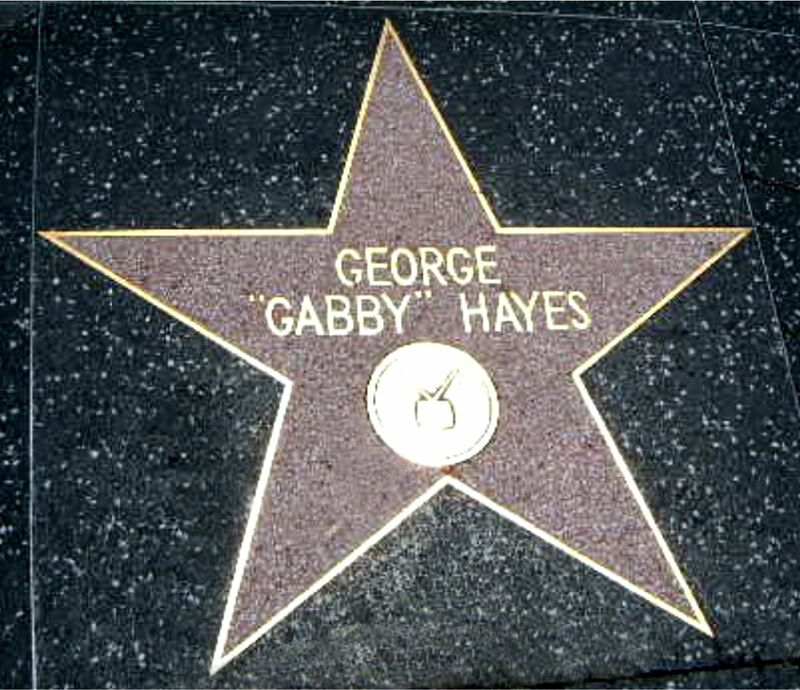 Changed his name to “Gabby” about 1940. 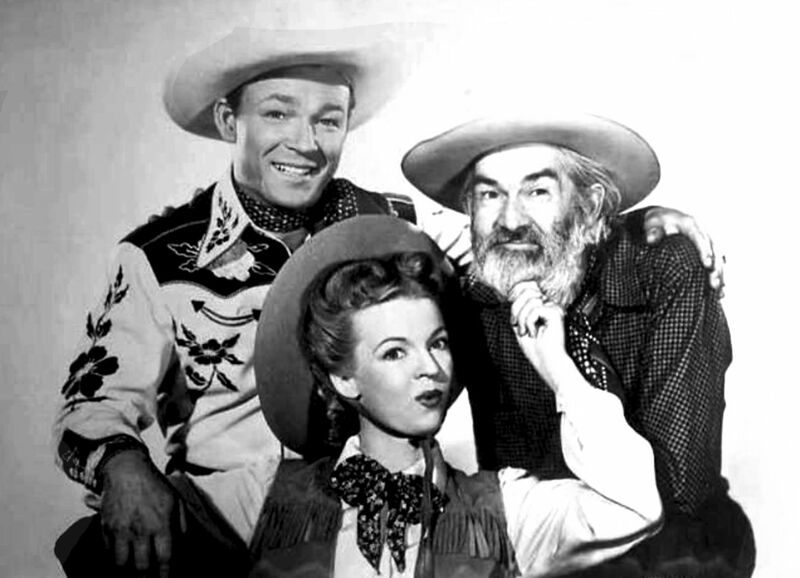 Besides John Wayne and Hopalong, Gabby appeared along side Roy Rogers, Randolph Scott and Wild Bill Elliot. 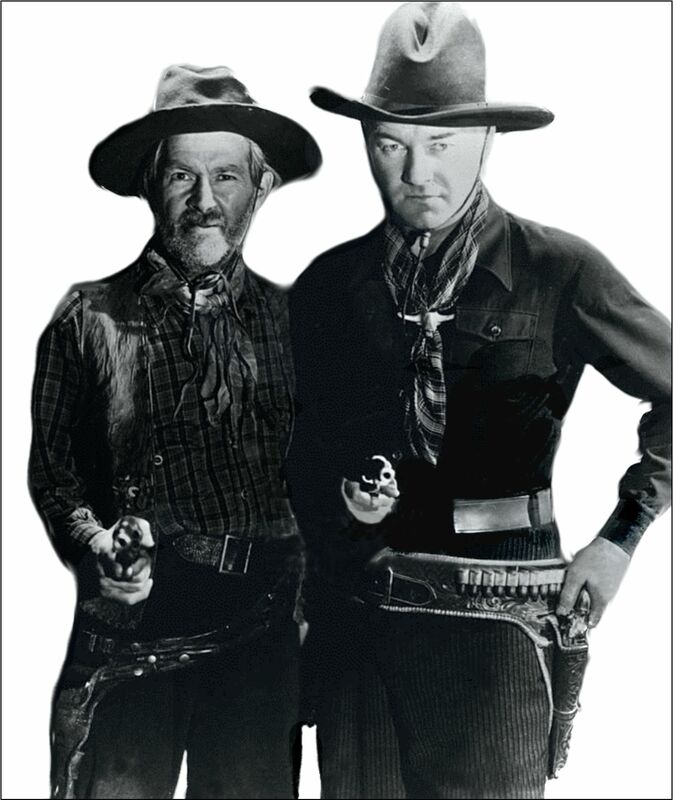 One of the few sidekicks to land on the annual list of Top Ten Western Boxoffice Stars, he did so repeatedly. 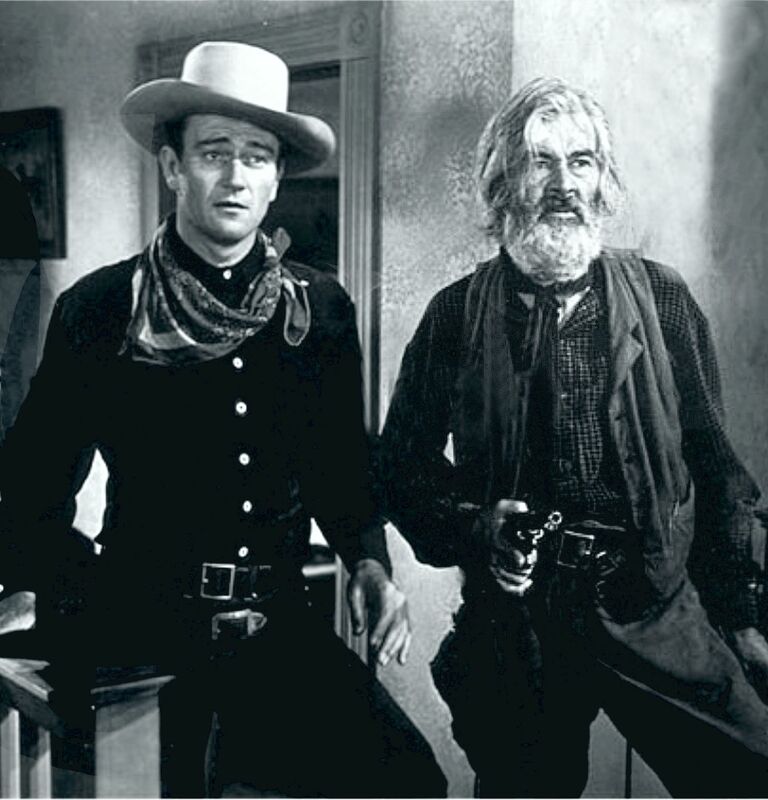 He appeared in either one or both the Motion Picture Herald and Boxoffice Magazine lists of Top Ten Money-making Western Stars for 12 straight years and a 13th time in 1954, four years after his last film. Offstage an elegant and well-appointed connoisseur and man-about-town, Hayes devoted the final years of his life to his investments. 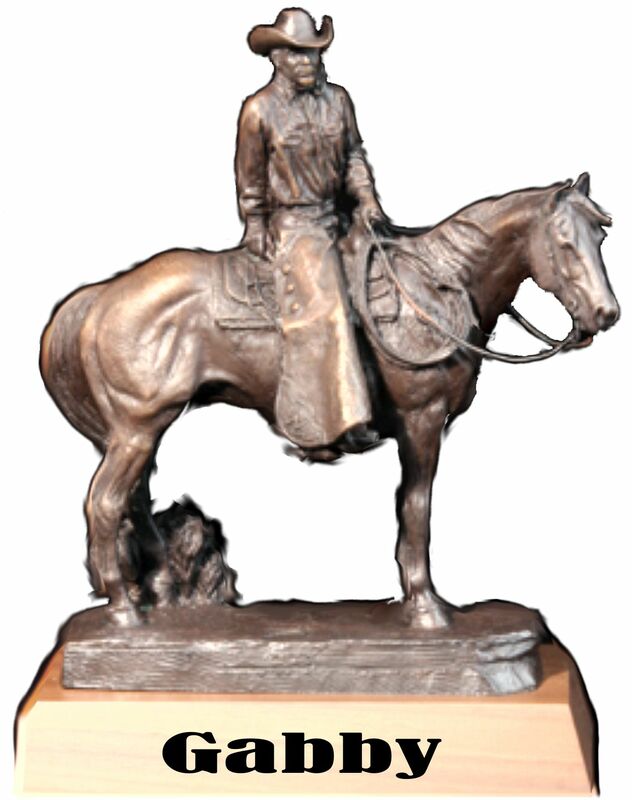 Inducted into the Hall of Great Western Performers of the National Cowboy and Western Heritage Museum in 2000. 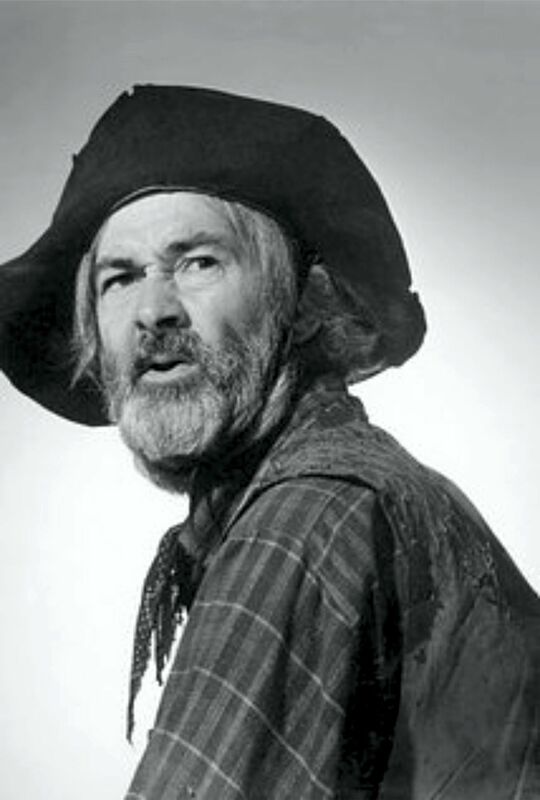 MFW: That was sure true of many of the early Westerns. They had a formula and just cranked them out. If you have not been to the National Cowboy and Western Heritage Museum, then you need to go. It’s a awesome place. I wud surely love to do that Rick! My favorite of the sidekicks. As an official ‘young whippersnapper’ I never missed his Sunday TV show. Always bothered me when, in his early movies, he was a beardless heavy. Hi Don! Yeah, it took a while didn’t it?! But once he found that niche it was a keeper. Not sure who by favorite Sidekick was? Didn’t care for Smiley too much – but Pancho was good. Tonto would be high up there. I gotta say tho, that as a kid I hated the Singing Cowboys thing. Who was watching that stuff anyway? Girls? LoL! Thank God they didn’t get Wayne a guitar. But then … I do recall Singing Sandy? 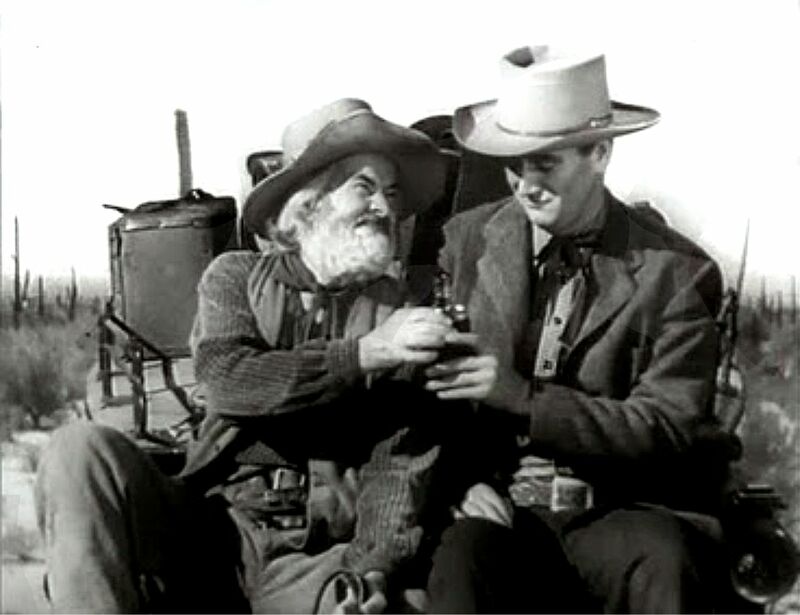 (Riders of Destiny / 1934). That’s probably why he didn’t get one. Sure agree on Smiley, great musician, not a comedian. Forgot how much I liked Tonto but since he never was used for comic relief, I guess I never thought of him as a ‘sidekick’, more of a partner. And poor Singing Sandy! I think they used an operatic voice to dub in. You’re right about Tonto. He and the Ranger were partners. I just discovered they made other attempts to get John to sing and did indeed hand him a guitar. Not sure how that worked out. Heck, I used to listen to Hoppy, Gabby, and Topper on the radio! Great stuff.